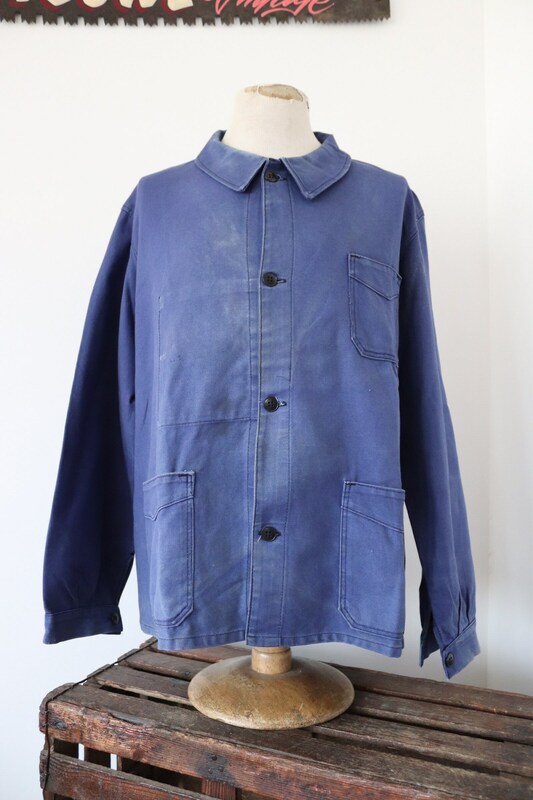 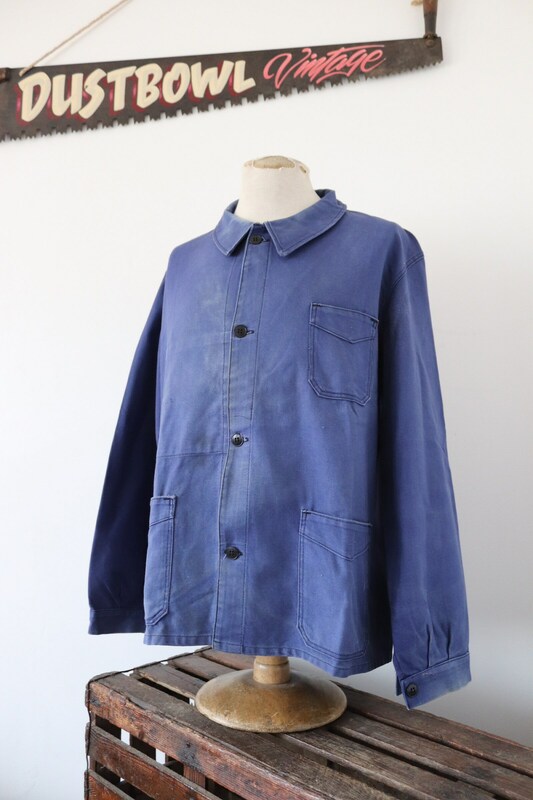 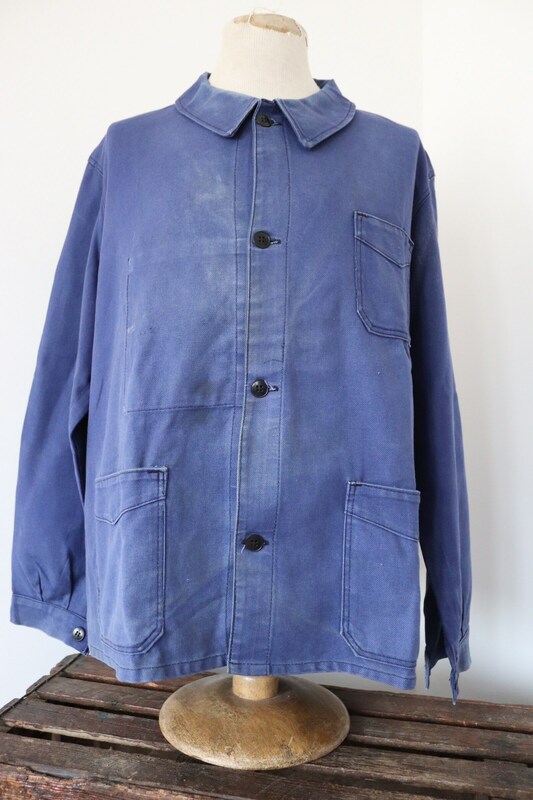 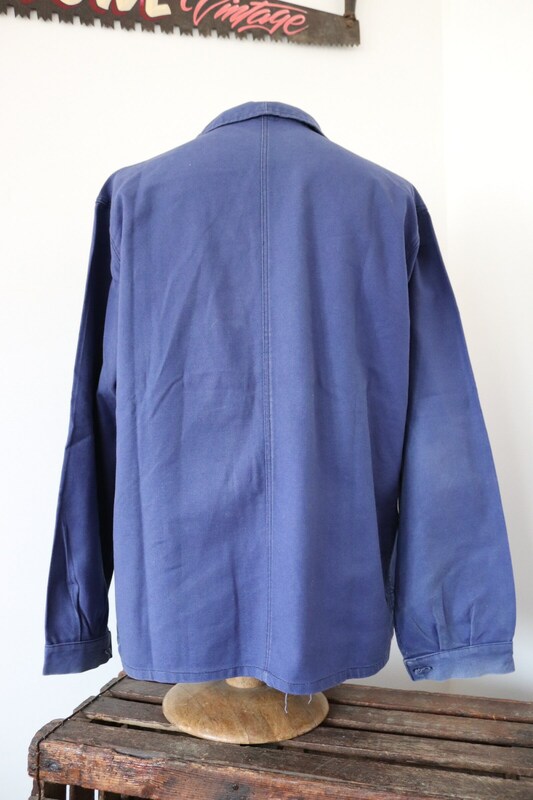 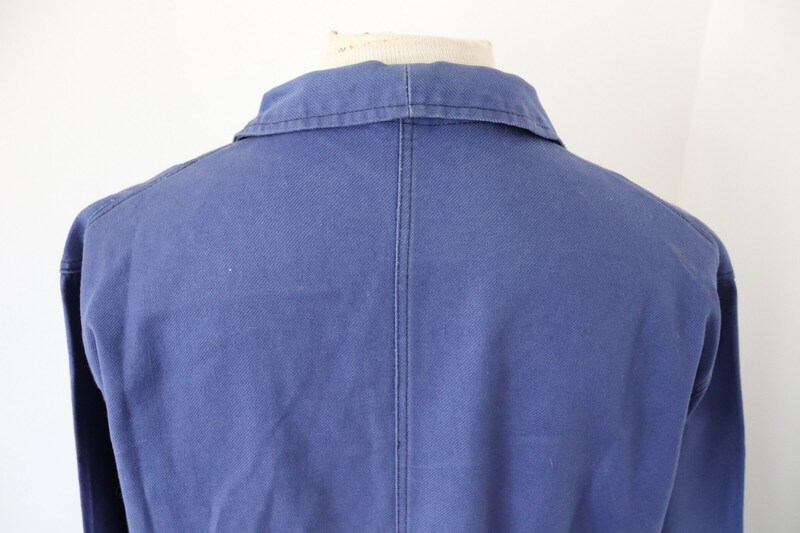 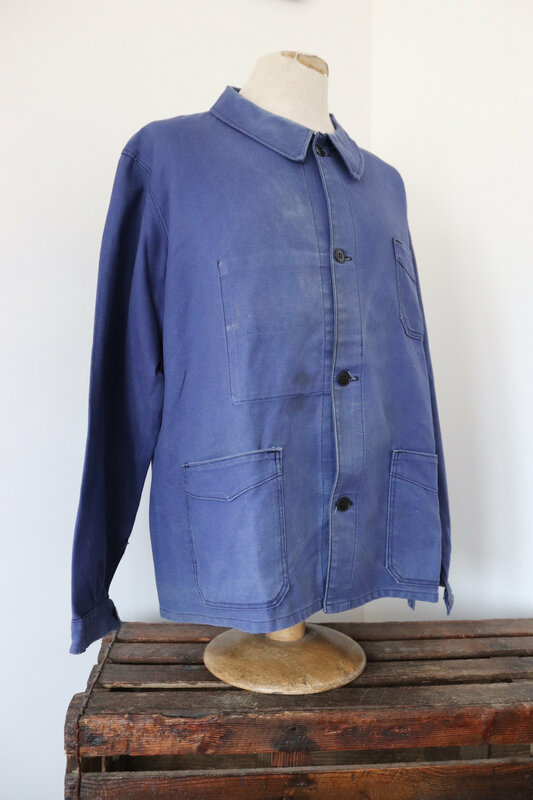 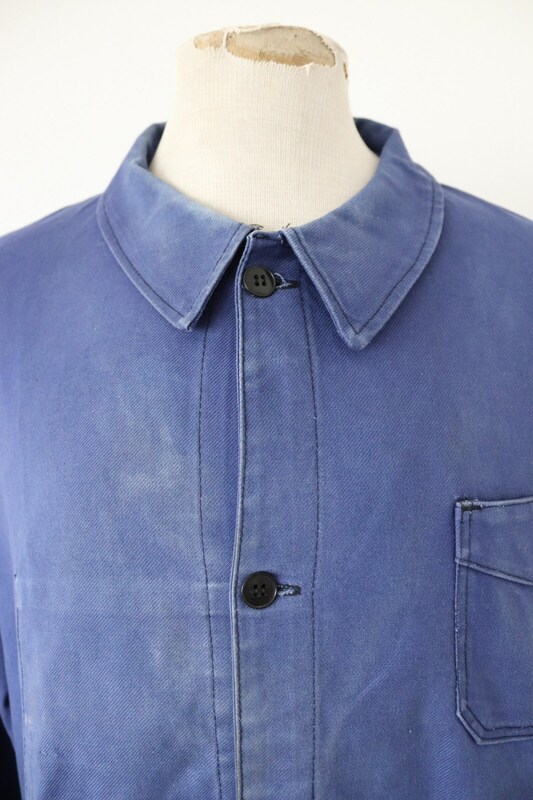 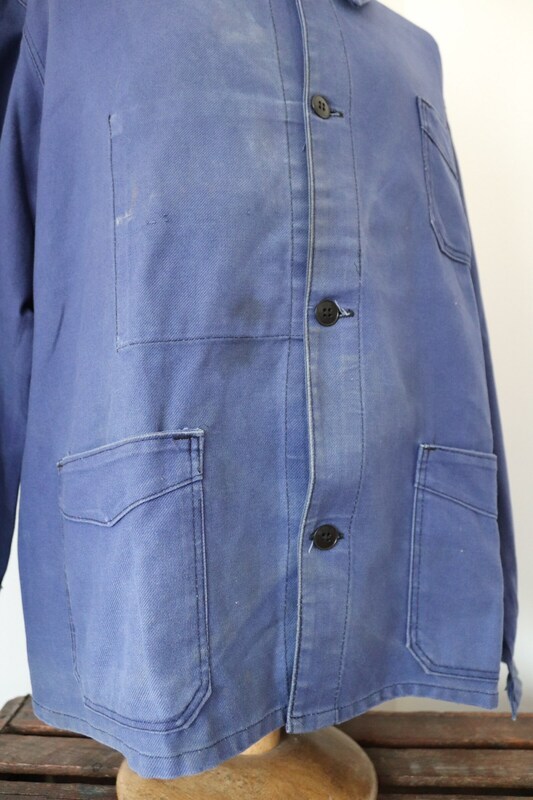 A blue cotton twill French chore jacket dating from the 1970s. 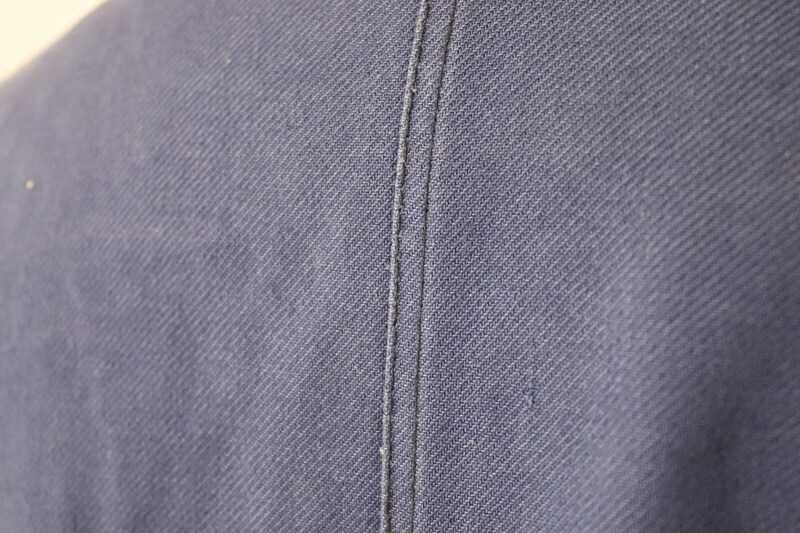 Noted flaws - some marking on the centre front, fading at the collar and centre front - please see photos. 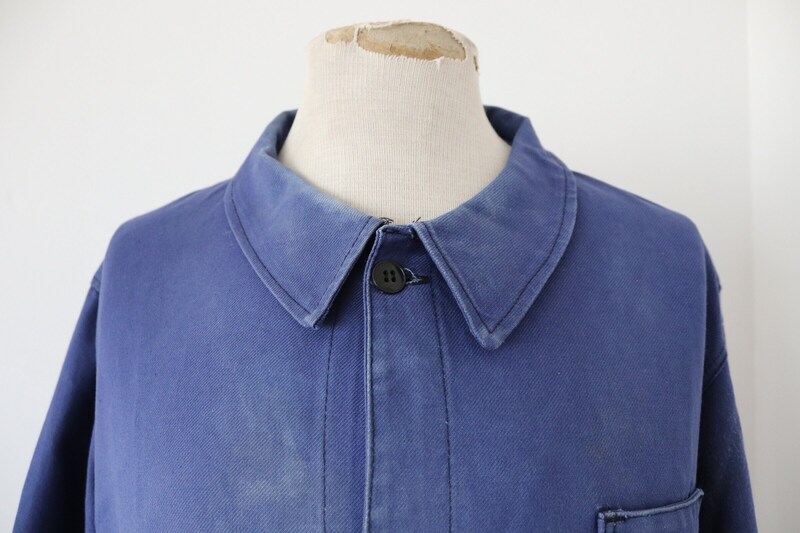 Rounded collars, thick cotton twill, pleated cuffs, full set of buttons, classic French work jacket.